A woman has died in a fire at a house in east London. The ground floor was badly damaged at the property in Leybourne Road, Leytonstone, on Tuesday evening. 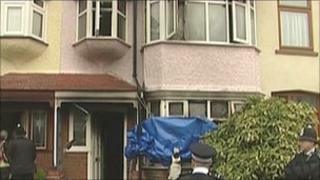 About 10 firefighters were called at about 2130 GMT and they found the woman's body on the ground floor of the building. It took them 75 minutes to bring the flames under control. London Fire Brigade said the cause of the fire was still being investigated. Police said the fire was not being treated as suspicious.